I am so excited to announce that my newest collection of short stories is officially available on Amazon! You can visit my Markram Battles Page for more information about the Markram Empire, history, and characters. 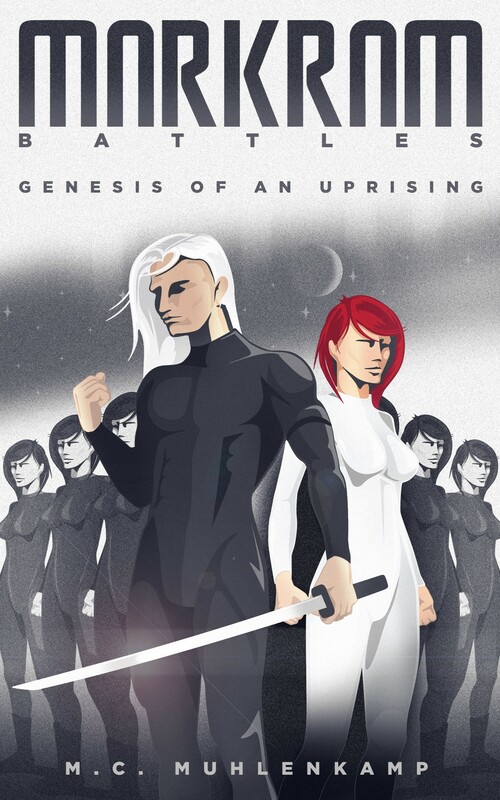 It is also my pleasure to announce that review copies of Markram Battles: Genesis of an Uprising are available FREE of charge in exchange for honest your honest review at The Story Cartel, a site that allows readers and authors to connect in a new way. In The Story Cartel site every book is free for a limited time, and in return, readers support the authors by leaving their honest reviews on Amazon (Markram Battles will only be available until August 18th). Now, about the special treat I mentioned in my earlier post. Reviewers of Markram Battles through The Story Cartel site will be entered to win 3 $10 Amazon gift cards! Isn’t that great? Also, here is a little excerpt from Markram Battles: Genesis of an Uprising. The sun had started to set over the smoky horizon, casting diffused shadows over the deserted cars and creating a junkyard look to the once busy streets. There was no sign of invader ships anywhere, but that didn’t mean they weren’t there. They would come out soon enough; nighttime was their favorite time to recruit. My stomach revolted as I considered the dreadful future awaiting me if I was captured. I would be conscripted to fight in the Space Combat Arena as a blood-sport entertainer. The word among hostiles described the battles as bloody, and to the death. Units of human women were recruited to fight against each other for the entertainment of a superior race, as if we were ancient Roman gladiators forced to kill in order to survive. My sister and I scuttled into an apartment building, praying that it would be safe enough. We entered through the main glass doors, surprisingly still intact, though clouded by grime, and moved through the lobby toward the back stairs. We climbed to the top level where I picked the lock of one of the apartments, and we walked in holding our breaths. The previous owners had left in a hurry, leaving a coffee pot on the stove, dirty dishes in the sink, and food scattered on the dinner table. We rummaged through the apartment in search of supplies and finally crashed on the couch, ready to sleep for a week. It was nearly dawn when we heard them. The heavy thud of each step and their indiscernible shouts echoed through the walls like the chilling whispers of a vengeful ghost. “You need to warn the group following us,” I reminded her. Her eyes locked with mine, searching for a way out, though we knew there was none. She hugged me and vanished through the terrace just as the invaders burst through the door. Two of them pushed me against the wall, lunging at me like ravenous wolves. 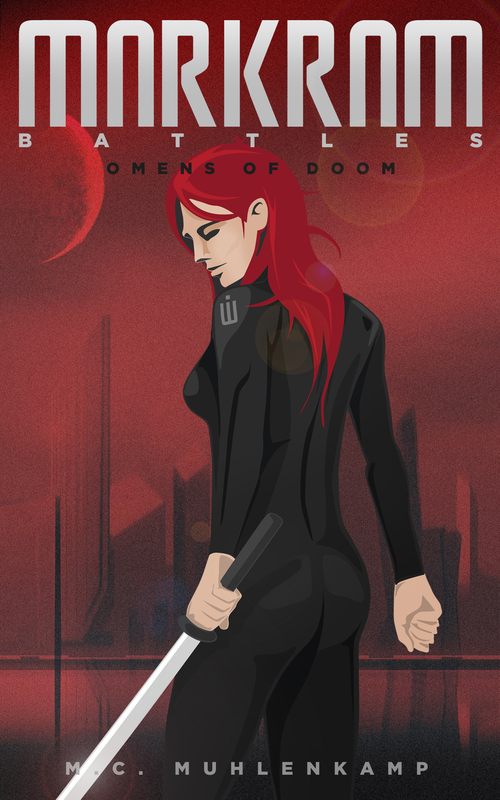 Their fully armored bodies only exposed their unprotected heads, making their white hair and shimmering eyes stand out in the darkness. I fought back using what little self-defense I knew, but hurting them through their heavy armors was harder than I’d anticipated. Each of them grasped one of my forearms, pulling them outstretched and tight. Their metal gear twisted my skin and the pressure restrained my movements on the spot. A third man, who seemed to be the one in command, approached me cautiously, though not cautiously enough. I used my attackers’ arms as leverage to raise my legs off the floor and shove him away as hard as I could. He looked pleased by my reaction. The smile on his lips was friendly and almost inviting. His black suit molded to his sculpted muscles and his iridescent blue eyes pierced the space between us, pinning me in place. He looked at me and I stared back, as if the key to my freedom lay hidden somewhere behind those bewitching eyes. His smile widened as he leaned closer. Despite my screams, in a final attempt to express I don’t know what, perhaps rebelliousness, or plain old fear, he inhaled me. I lost all of my senses immediately, almost as if he was sucking them out of me with a straw. By the time I came back around, I was alone, in a solid cage, inside a shuttle, headed out to space.